On the first night, after a day of screening 51 children for hearing loss and outfitting nearly that many with hearing aids, the Entheos audiologist group sponsored by the Alalusi Foundation in Jordan accepted an invitation by Dr. Mazen to tour another Alalusi sponsored program, the Homs League Abroad center in Amman for a night of entertainment, information and a wonderful home-cooked dinner. 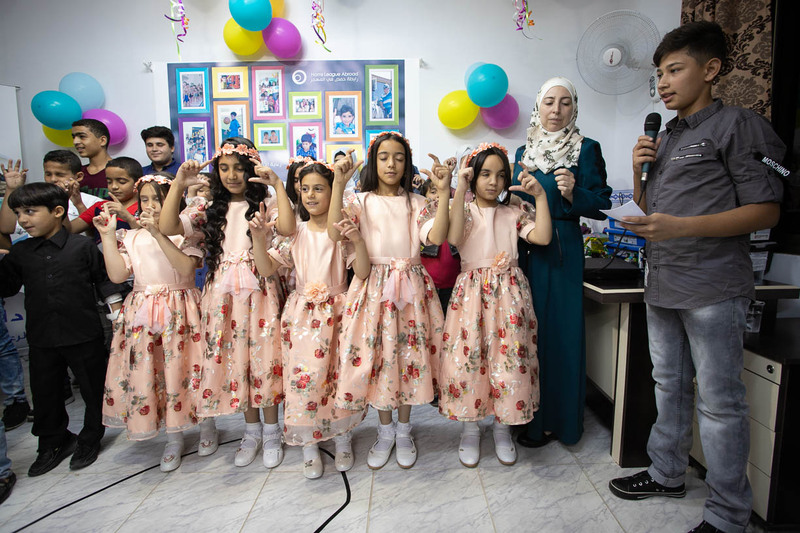 Over a decade ago, a group people originally from the Syrian city of Homs got together to form an organization that would serve the humanitarian, social, cultural and educational needs of the Syrian diaspora and those who are still in Syria. In 2013 as the conflict ignited all the more, this group established programs of education, food distribution, rehabilitation and care for those who are in the greatest need. 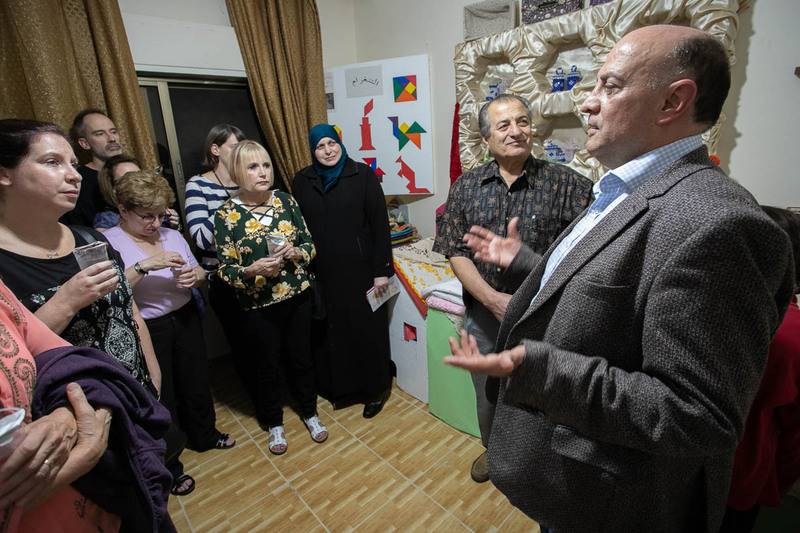 Traditional breadwinners were, and are, targeted in the Syrian conflict, creating desperate widows and orphans out of former mothers, wives and children. 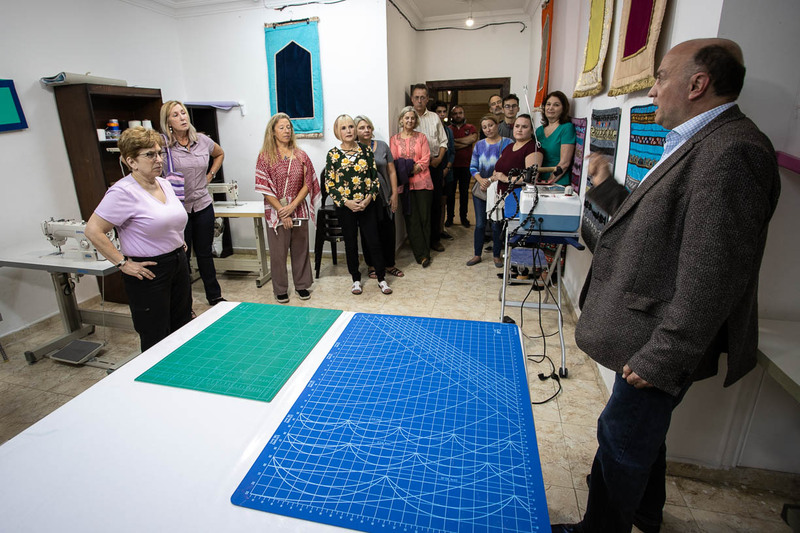 The first HLA center was established in Lebanon and since then five others have been set up in the three countries most impacted by the flow of refugees fleeing the violence. 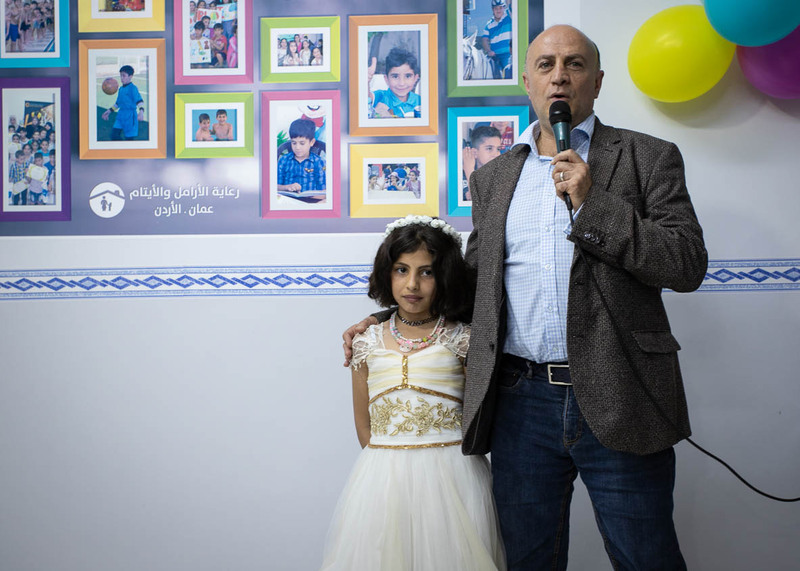 In the first two years, HLA works primarily on the deep trauma issues that all have been inflicted on. After this, while still attending to their psychological needs, the centers work to build their independence with educational, life-skills and livelihood development programs. The first room we toured is one where the widows create a variety of textile goods for sale. All proceeds of their sale go to the widows themselves with no surcharge taken by Homs League Abroad. 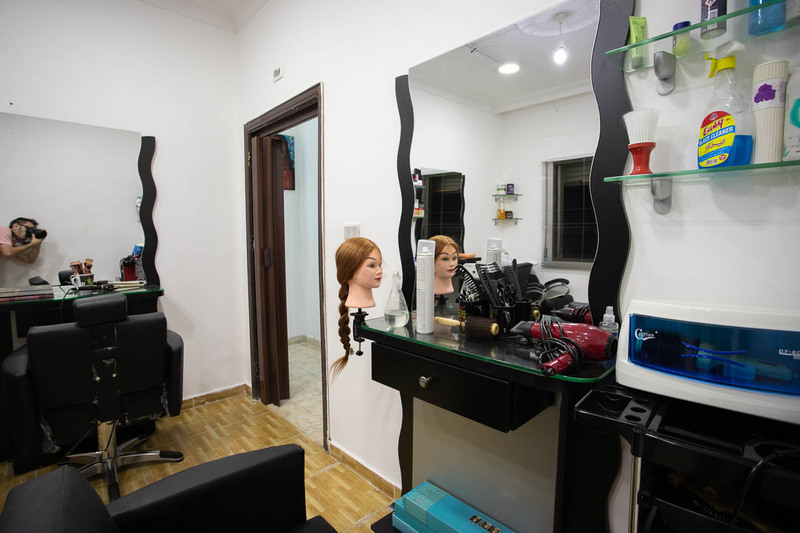 Women are also trained in hairdressing. In 2018, eleven of their widows passed certification courses to work in the field! 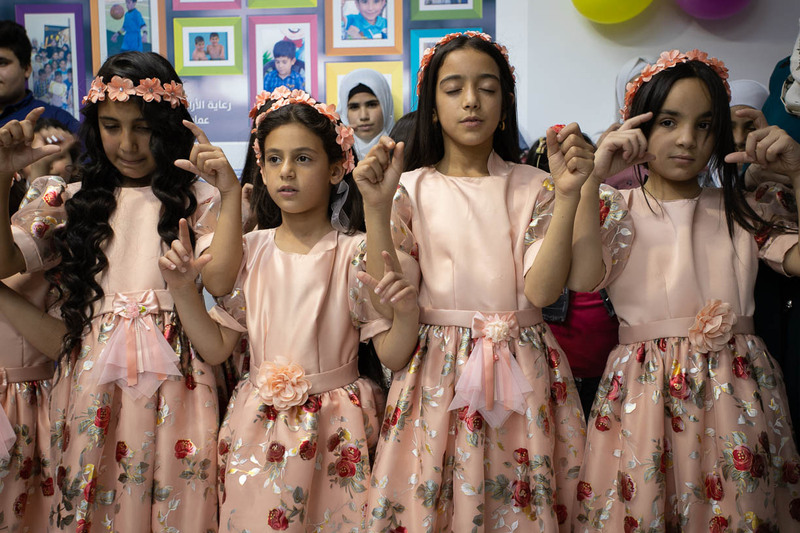 In addition to a few dances performed by the girls and boys who live at this center, the children and their teachers were excited to show off some of the education they have acquired. Hamzah Al-Khatba, strives to "change this generation's future" through his engineering class in robotics. Those who master this introductory class then move on to Majwa Al-Lababideh's level 2 robotics class. Each class and their teachers demonstrated some of what they've learned. Rashid Bilal, their English teacher, introduced three plays done for us in English. Math taught me that every “unknown” has a value, so never underestimate or disregard someone you don’t know Math taught me that the “negative” number get smaller in value as the number gets higher. Like arrogant people, the higher their arrogance, the smaller they become in people’s eyes. Math taught me that there are many ways to reach the same/correct answer, and that’s how we deal with each other and with people. Even if we treat them in different ways, we make sure to always treat them in the correct manner. They told me I’m a person. Freedom and will cannot be humiliated. I didn’t taste freedom, but I wrote it on the walls. They took my father. They caught my mother. They broke my pen. By I will tell my story and keep telling. We are a generation that will grow up and rebuild our country. Syria don’t cry! Dr. Hesham Alalusi was presented with a ceramic mosaic at the end of the show by Dr. Mazen Charbak (center) and the manager of the Amman Homs League Abroad center, Neda Barghouth (right). 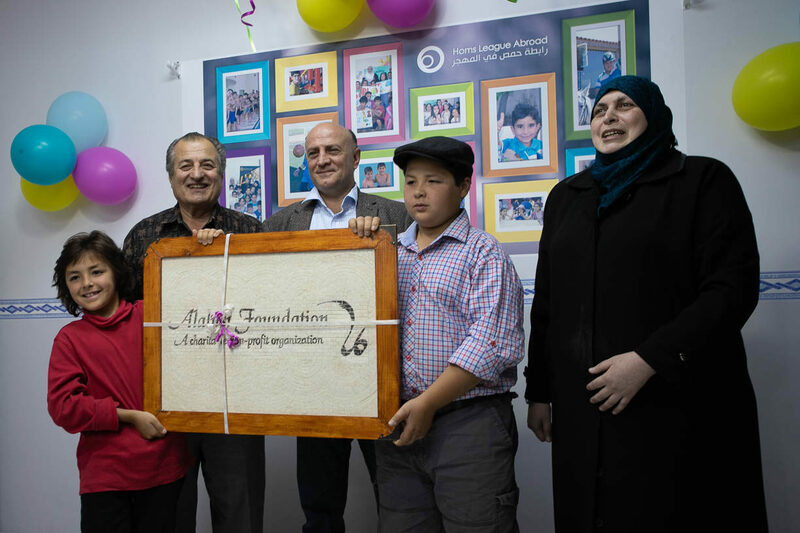 Assisting him to carry this beautiful piece of wall art home were his grandchildren, Ayman and Deen.